but it didn’t look or taste like celery. 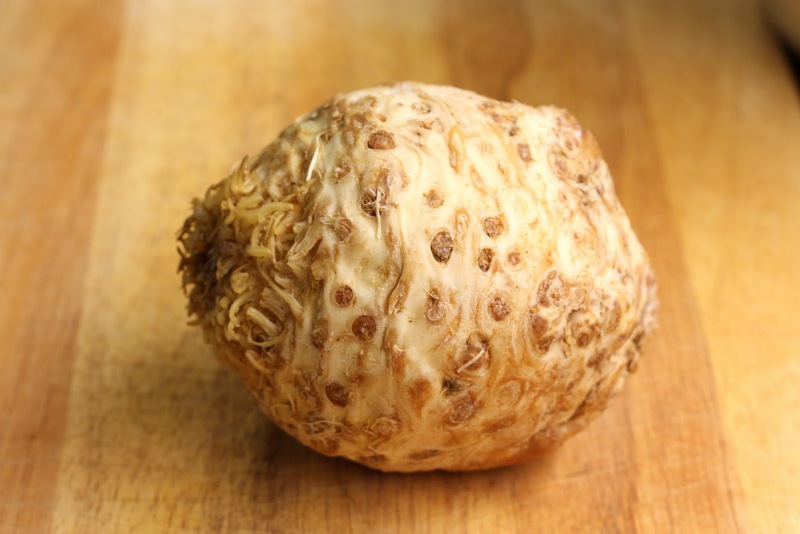 Celery root is actually called celeriac- it has more of a starch consistency like a potato. 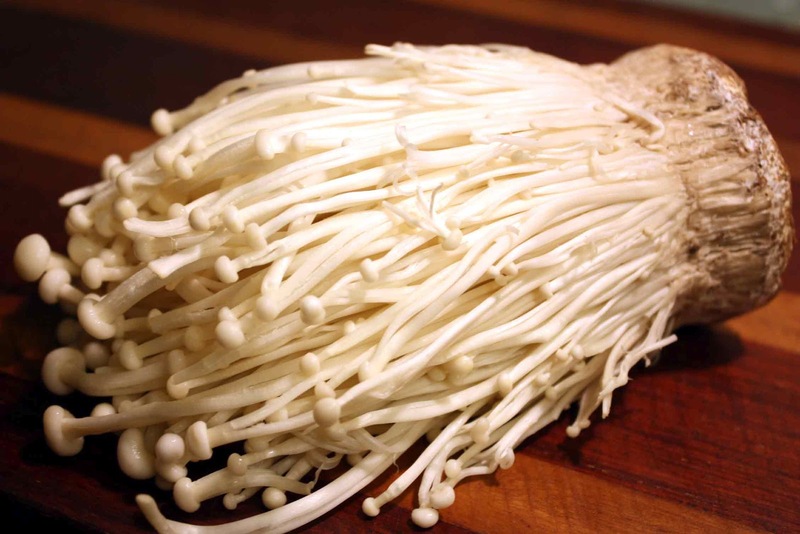 My friend picked some up at the Park Slope Food Coop the other day- I also grabbed some enoki mushrooms- the long white skinny ones. 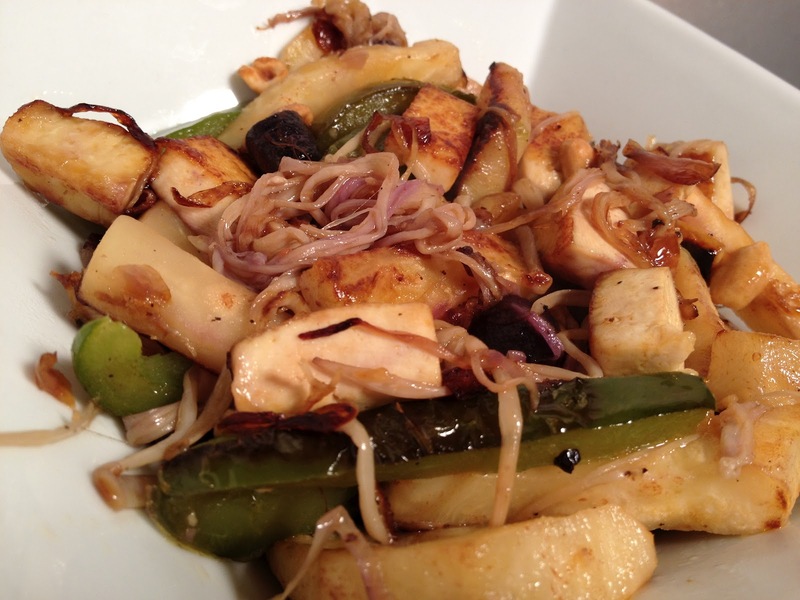 Then at Foragers Market in Chelsea, I picked up brown carrots and vacuum packed Wildwood tofu made from organic sprouted soybeans- (non GMO of course). Foragers is an organic and local market. Actually it’s a market, a restaurant and a wine shop all together. I generally reference it as “organic” and the wonderfully informed team of proud workers there always correct me sweetly saying.. “and local!” That’s important to me personally– I’m all about buying local! This means it’s fresher, grown in the environment and climate that I live, it’s in season and I’m supporting the local farmer– and not spending extra money or resources such as fossil fuels to import vegetables and other items from across the country or globe for that matter. Craziness– what a waste of energy to NOT buy local! 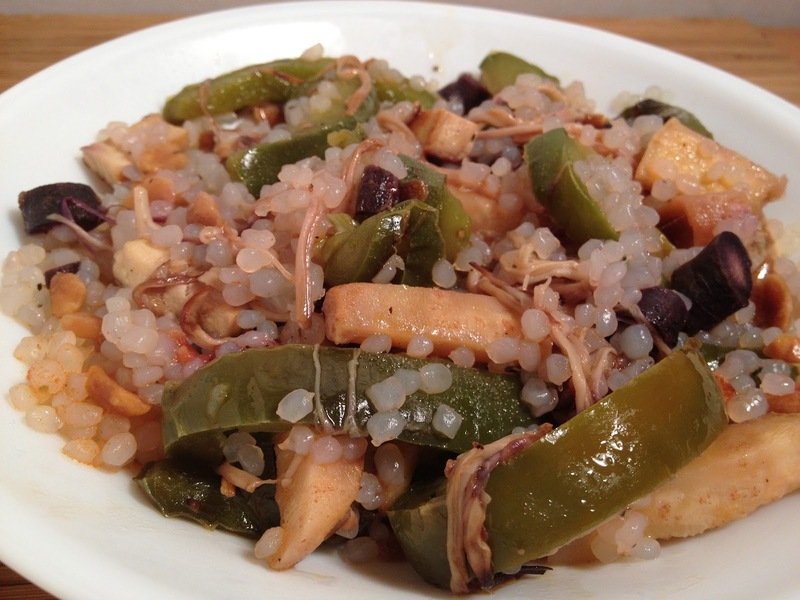 Now I had four whole food items that I had never cooked with before- exciting! I made a quick stir fry- it was actually really delicious! I think I actually have used those mushrooms before. What I love about them is the texture! That’s like eating pasta without really even coming close. I sautéed the onions and green peppers first with the coconut oil then I added the celery root- that actually took the longest to brown. I added the carrots and tofu shortly after– then the mushrooms. The peanuts went in last right before everything was ready. I broke open a bag of miracle rice to add even more of that “pasta” feel! It was perfect!